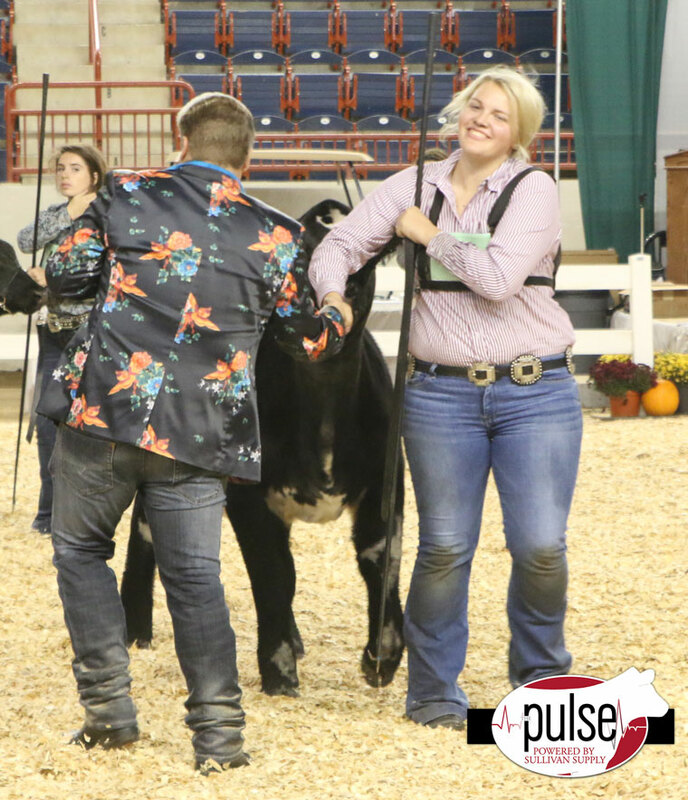 Tyler Cates and Dennis Shoufler celebrate after winning Champion Junior Heifer. 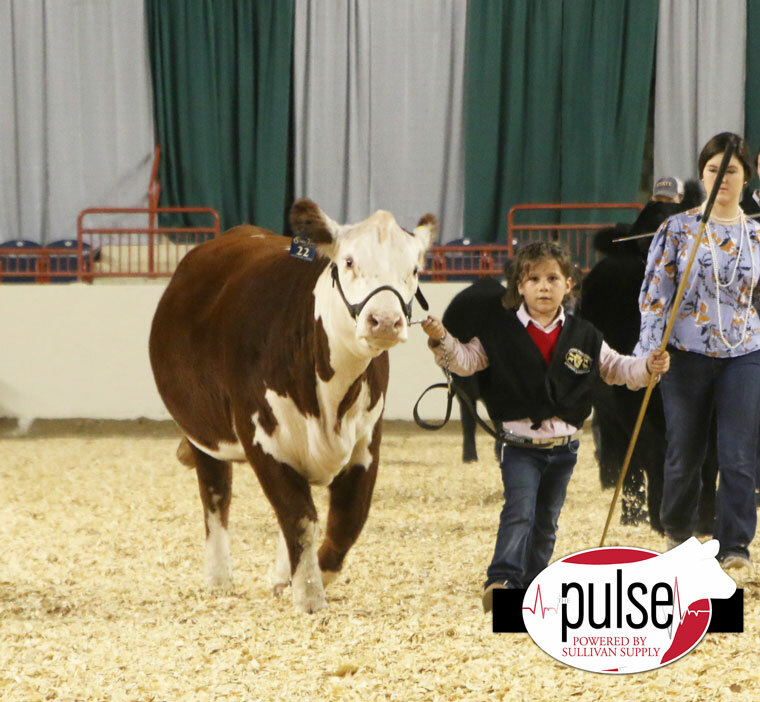 Jaecee Schrader leads her Champion Hereford in for final drive. Candace Muir shows the boys how it’s done. 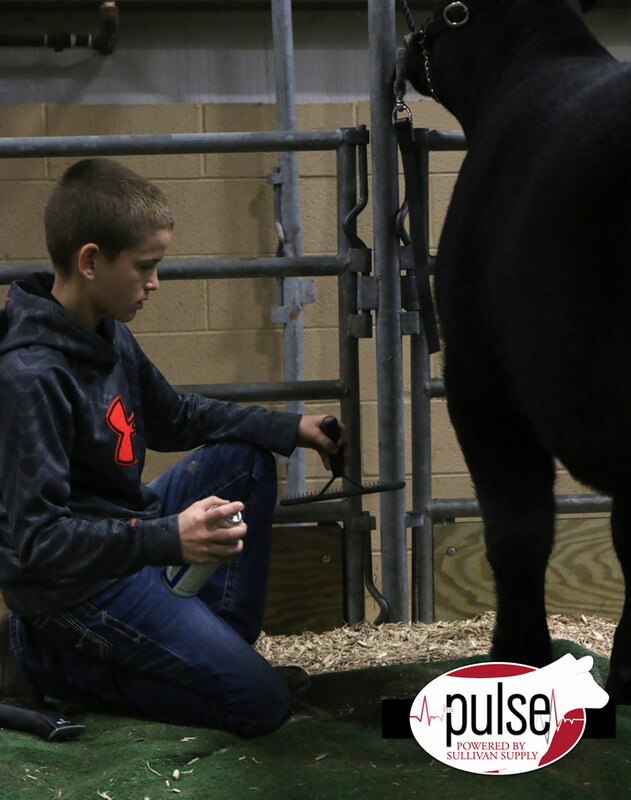 Kale Hensley gets low to fit a belly. 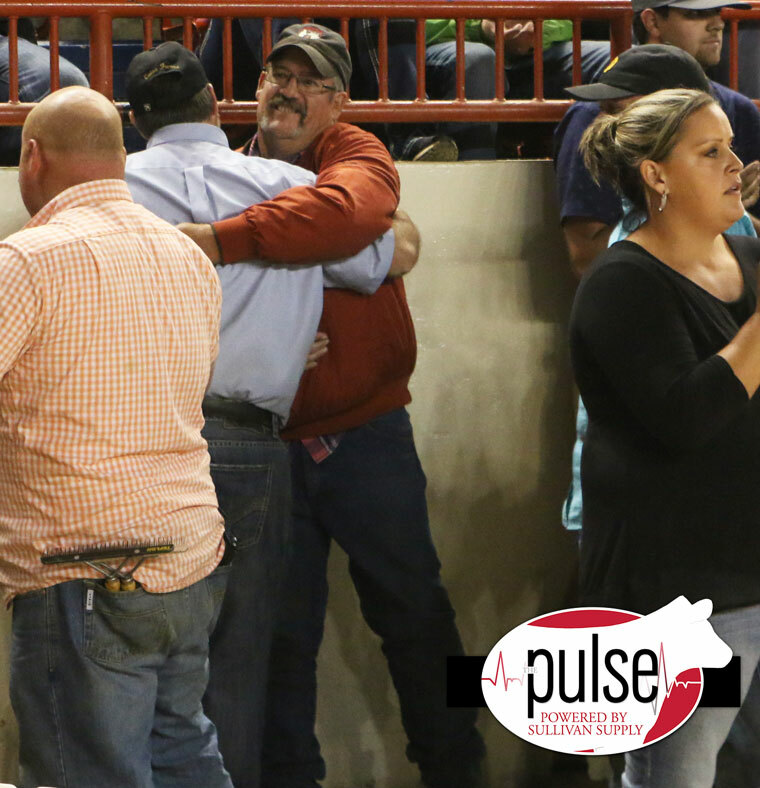 Haley Frazier is all smiles after winning Champion ShorthornPlus. 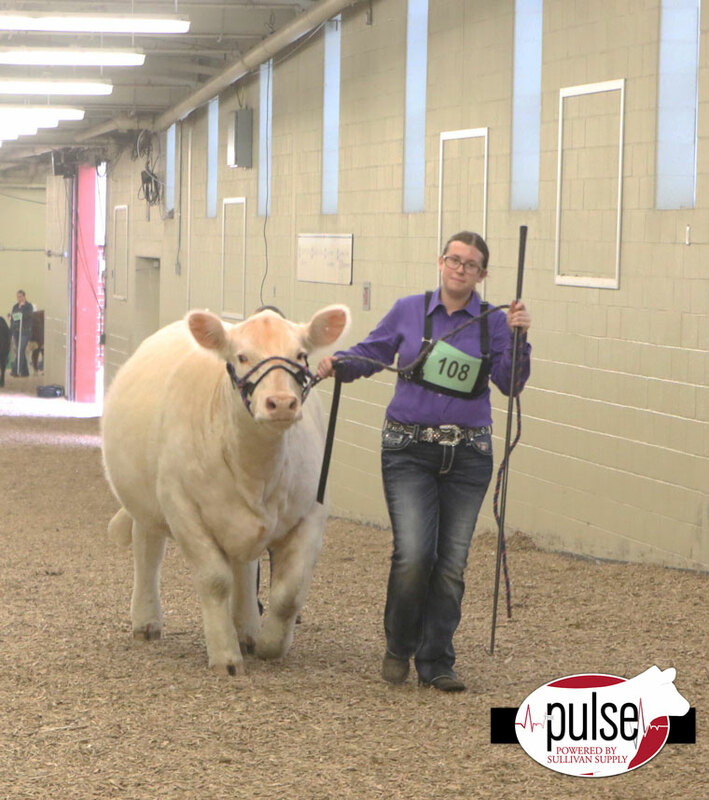 Kathy Lehman walks her eventual Champion Charolais heifer up for class. Derek Savage sports his jays. 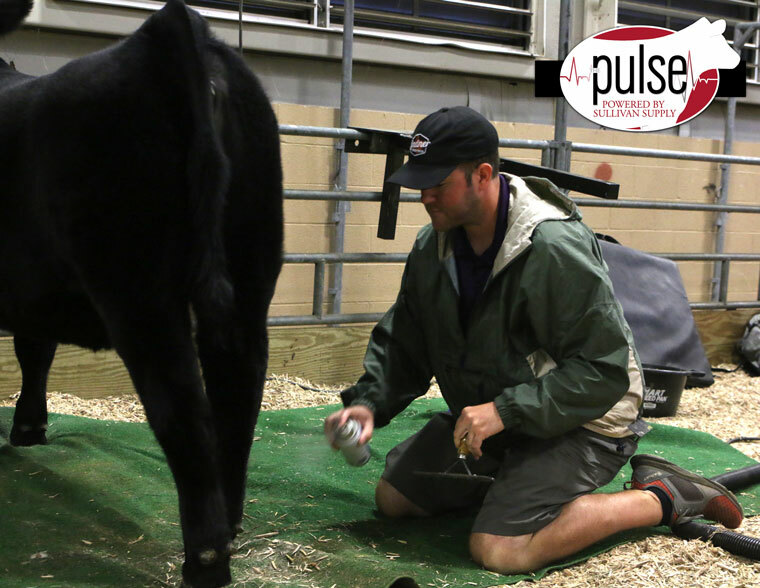 JW Teets is all focus fitting with his Sullivan’s Teflon Comb and Sullivan’s Tail Adhesive. 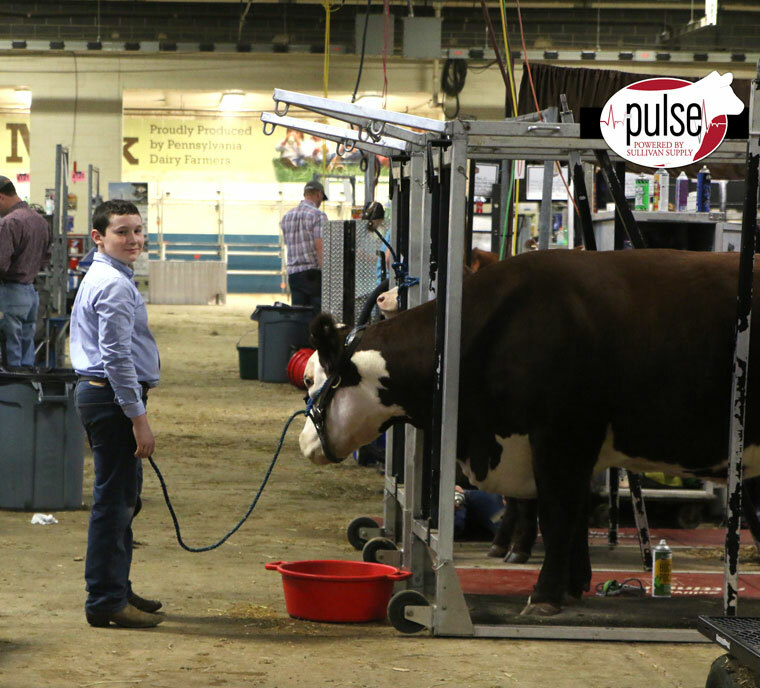 Harrison Roberts feeds his Hereford cow with a Sullivan’s Smart Pan this morning. 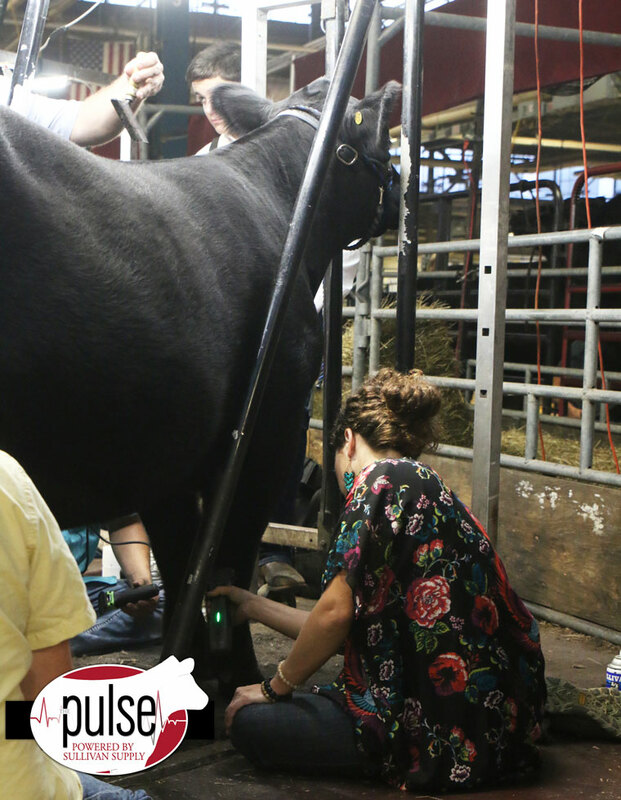 Chris Hawver uses Sullivan’s Tail Adhesive to fit a leg.